CREATIVE KIDS At CR8Space, young artists let their imaginations run wild through painting, coloring, clay sculpting, jewelry making and crafts of all kinds. Photo by Daniel Deitch. Nothing announces the end of a cold, wet winter and the start of a fresh new season (plus the promise of summer!) like spring break. School holidays are a great time to recharge and get outside with your kids, but filling the empty days can also be a challenge. Fortunately, there are plenty of places where you can make family memories this spring, both close to home and farther afield. Every weekend in April, the Garry Marshall Theatre in Toluca Lake presents an all-ages, rootin’-tootin’ musical comedy, The Root Beer Bandits. This fast-paced, vaudeville-style show promises plenty of original songs and colorful dances set against the backdrop of the Wild West. 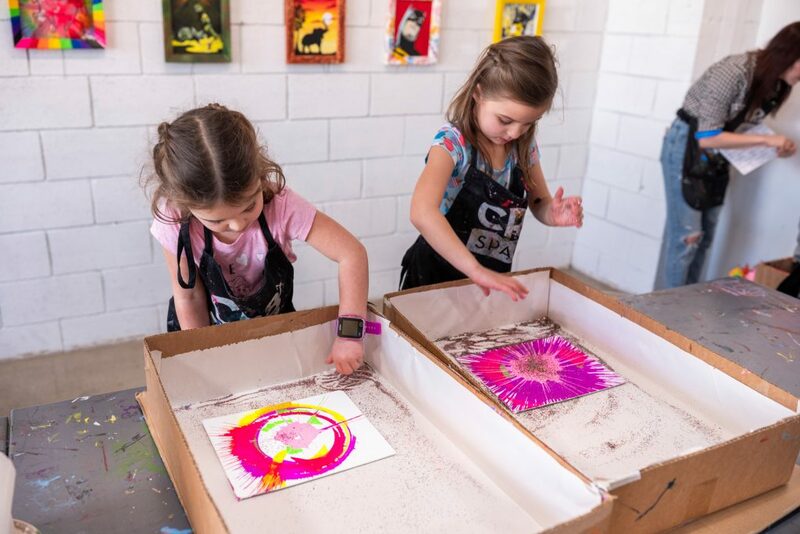 In North Hollywood, the whole family can get creative at CR8Space, a drop-in-anytime art studio for all ages. Supplies are provided, and young artists can explore on their own or work on guided projects. Starting Monday, April 15 (LAUSD spring break), explore art and history in a week-long Spring Break Art Camp. Each session includes innovative art projects inspired by world-renowned artists. Camp hours are 9 a.m. to 1 p.m., and both single-day and full-week registration options are available. How long has it been since you took the Warner Bros. Studio Tour? This three-hour adventure gives you a lot of bang for your buck, with opportunities to visit working soundstages, take a turn under the Sorting Hat in the exclusive Wizarding World of Harry Potter & Fantastic Beasts exhibit, and find photo ops with the Batmobile Collection, authentic costumes from Wonder Woman or the Fuller House front steps. For older kids (50 inches tall and up), Racer’s Edge Indoor Go-Karting in Burbank features all-electric, high performance karts on a fun and challenging indoor track that’s open to all skill levels. On weekdays, junior racers can satisfy their need for speed at discounted prices. 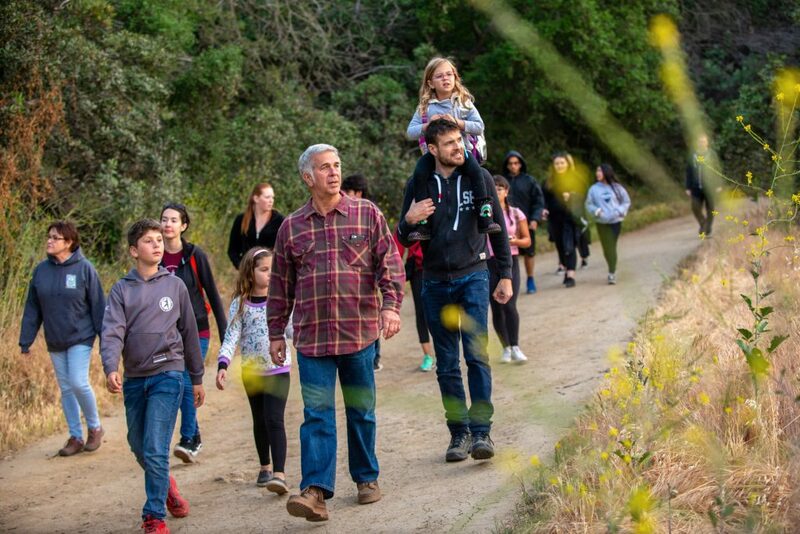 On April 19, the TreePeople organization is hosting a family-friendly Moonlight Hike in Coldwater Canyon Park, located in Beverly Hills. The event kicks off with live music during sunset, and the hour-long guided hike begins at 7:30 p.m. Registering in advance is required. Take your furry family members to the Blessing of the Animals on April 20 at the El Pueblo de Los Angeles Historical Monument in downtown L.A. This iconic festival runs from 12 to 5 p.m. and features a colorful procession down Olvera Street led by the Archbishop of Los Angeles. All pets are welcome to join! PHOTOGENIC FUN Families can make memories amid the beauty of Descanso’s rose garden, forests, California native plants and more. Photo courtesy of Descanso Gardens. 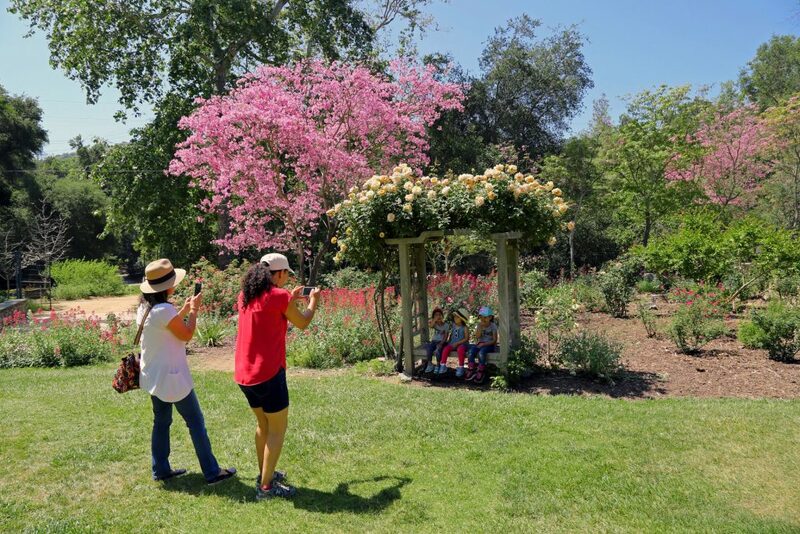 From March 1 to May 12, Descanso Gardens in La Cañada celebrates spring with special programming, including guided flower walks, art making, scavenger hunts and music. Admission is free the third Tuesday of every month, and there are two family-friendly restaurants on site. Younger visitors may enjoy a nature-themed story time (10 a.m. on April 16) and a trip on the Enchanted Railroad. Or visit after hours on March 16, April 6 and May 18 to enjoy music and refreshments while learning about nature during the new Night Garden events. Year-round, The El Capitan Theater in Hollywood offers Tiny Tots Tuesdays, a 10 a.m. screening of the currently playing movie with reduced sound levels, and the beautiful, historic theater remains dimly lit rather than dark. The El Capitan, operated by The Walt Disney Company, is a special experience for older kids, too, with pre-movie entertainment, a live organist, balcony seating and a Ghirardelli soda fountain in the lobby. 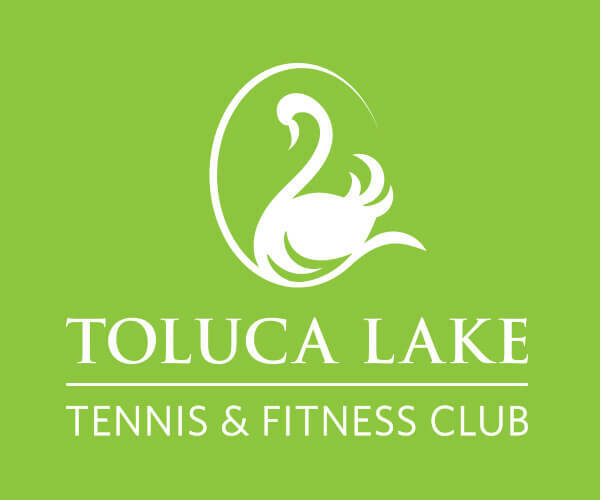 Plan a day in the Inland Empire! Spend some afternoon energy at Boomers Arcade in Upland, which offers miniature golf, bumper cars, laser tag and a climbing wall in addition to a state-of-the-art game room. Then head over to LoanMart Field to see the Rancho Cucamonga Quakes in a Minor League baseball game. If nine innings is too long to sit still, the stadium has a Fun Zone with bounce houses for the squirmier set. The 2019 season runs from April to August. April 6 marks the start of the 57th annual Renaissance Pleasure Faire in Irwindale, which is open on weekends through May 19. Fill your day with magic shows, rides, live theater, music, and food — including tea with the Queen! Make sure to get a list of hidden gnomes at the front gate and see how many you can find. April 13–14 is Time Traveler Weekend, when children ages 12 and younger are admitted free with the purchase of one adult ticket. 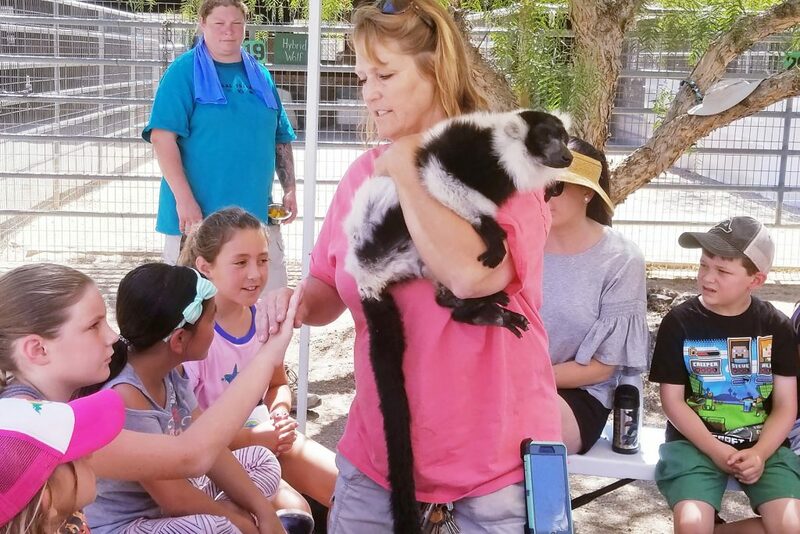 Visit Animal Tracks Inc., an exotic animal sanctuary in Agua Dulce, for up-close encounters with monkeys, kangaroos, porcupines and more. The sanctuary has public hours on weekends only, but private tours designed for animal lovers ages 2–12 are available on weekdays. Tickets must be purchased in advance, and guests are encouraged to bring produce donations for the animals, including apples, oranges, cucumbers and sweet potatoes. Celebrate spring by learning about home gardening and water conservation atCrescent Farm, located within the Los Angeles County Arboretum and Botanic Garden in Arcadia. Keep kids entertained by creating a scavenger hunt while you tour the gardens: Can they find the waterfall, the turtle pond and the redwood grove? No doubt they’ll be able to find the gift shop before you head home. Then again, not driving anywhere also has its appeal! You can bring spring into your home by hosting a Little Saplings Gardening Party. Little Saplings supplies planting materials and 90 minutes of structured activities that encourage a love of gardening. Guests will create their own potted garden to keep, study nature with magnifying glasses and get a peek at the real showstopper: a bin of happy worms. Communing with plants, dirt and creepy-crawlies — what could be more springlike than that? Need another nearby resource for restless kids and parents? 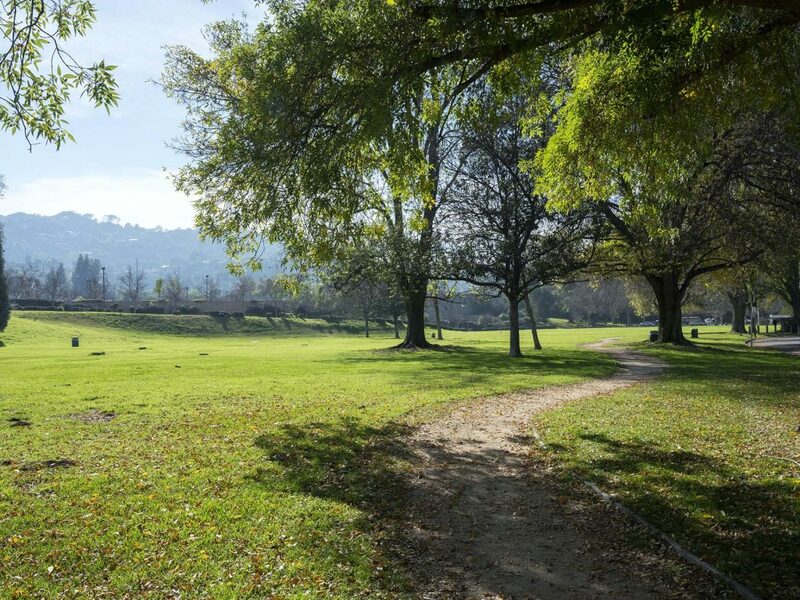 Local parks like South Weddington in Studio City are always in season. Photo by Daniel Deitch.